I am not one to make New Year's resolutions when it comes to fitness because I have maintained a relatively active lifestyle since I was 18. Every now and again, I fall off just like everyone else and go back to my bad eating habits with little to no exercise. Those of you that work-out on a regular basis can agree with me when I say it's difficult getting back into the groove of things once you've fallen off. I don't need an invite to escape the hustle and bustle of my busy work life, so when the opportunity came to visit Las Vegas, I was all over it, until panic began to set in at the mere thought of bearing it all in a bikini, hence why I am challenging myself to 60 days of eating clean and training dirty hard just in time for my getaway. I must admit, I am far from an expert when it comes to weight loss, but research has shown losing weight is 80% diet and 20 % exercise, so eating healthy is a big part of weight loss and being fit. This is what my workout/ meal plan is going to look like. I am not following any weight loss plan in particular, but rather, a plan structured to my lifestyle. My goal for this challenge is to achieve a leaner, stronger body, while shedding a few pounds. 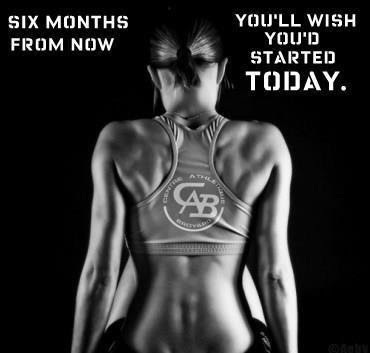 Get motivated and join me on this challenge because : " 6 months from now you'll wish you had started today". If you guys have any suggestions/tips, please feel free to leave them in the comment section.